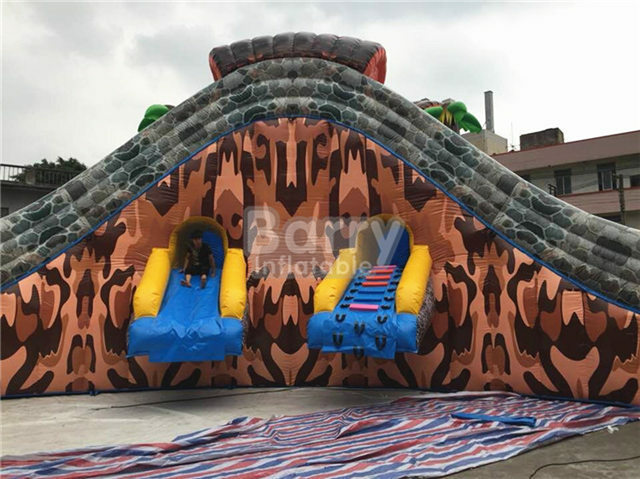 Amusement Water Park - Commercial Outdoor Amazing 3 Slides Gorilla Inflatable Water Park For Kids BY-AWP-131 - Guangzhou Barry Industrial Co., Ltd. 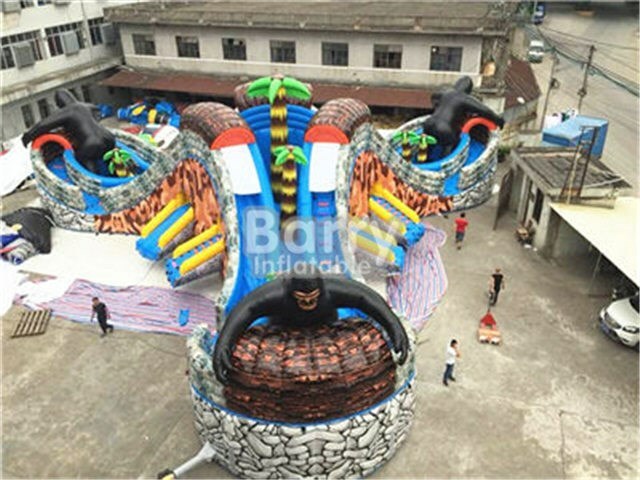 Welcome to gorilla inflatable water park.It is the most popular water park from Barry Inflatables. 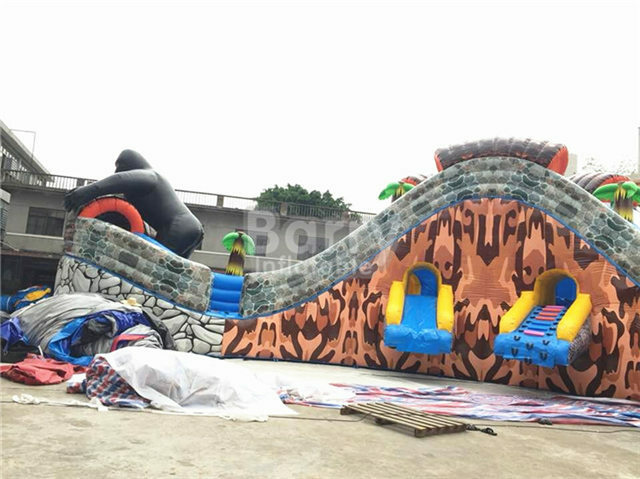 The shape is special.When you climbing the top of dragon slide,and slide down，you will meet a sharp turn before you arrive the pool. 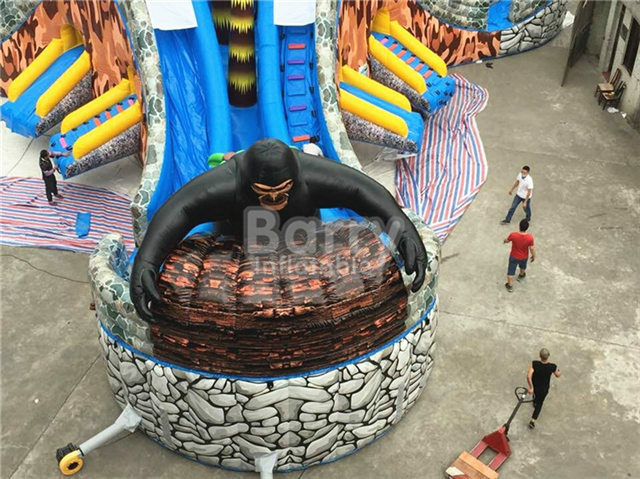 It is fun to swim in summer,why not join in? 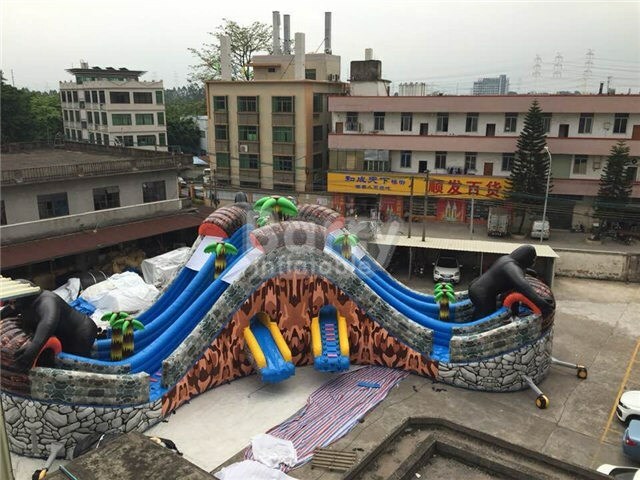 A: We offer 1-3 years warranty for each inflatable.